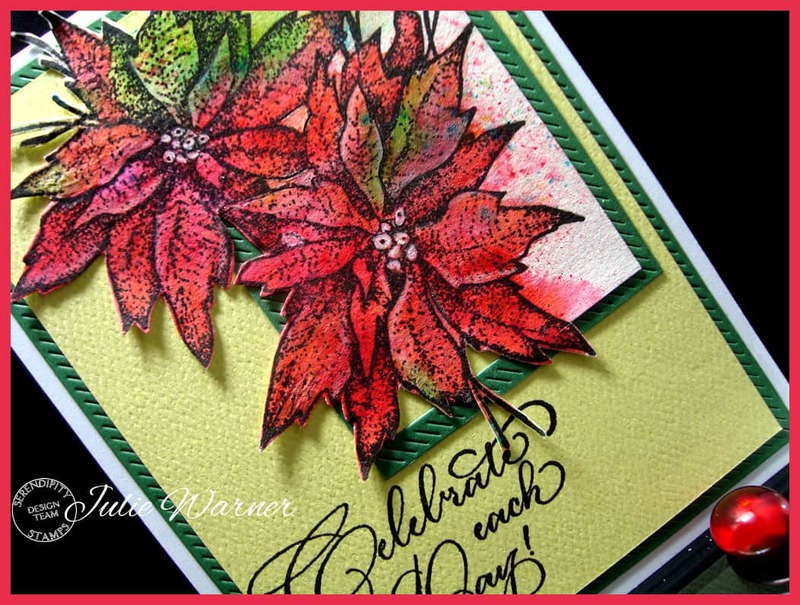 It’s my turn to host the Featured Stamper Challenge (FS559) on Splitcoast. 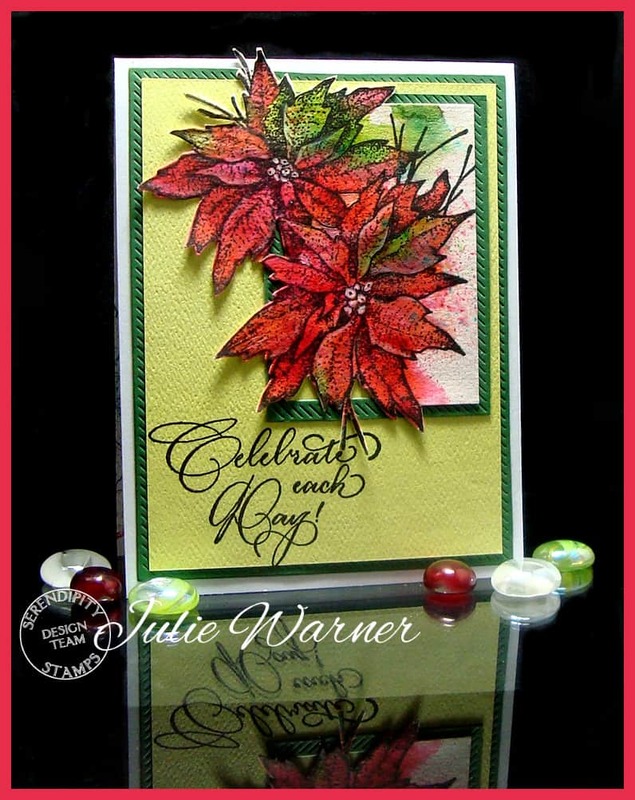 So a big Congrats to Jeanette, the newest Featured Stamper. 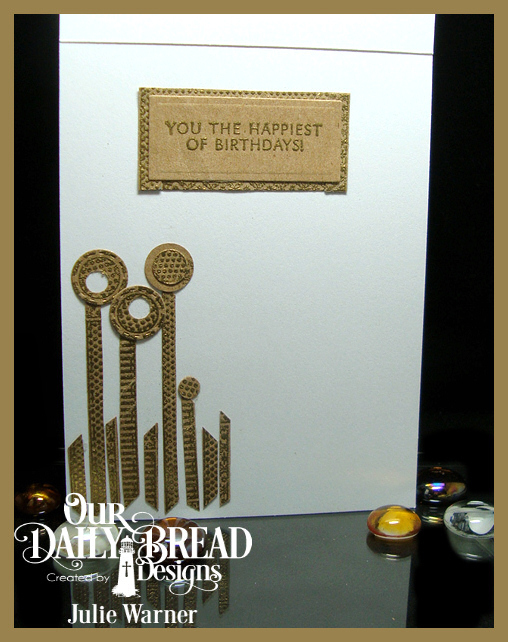 I spent oodles of time in her big, beautiful gallery & finally narrowed it down to THIS card. 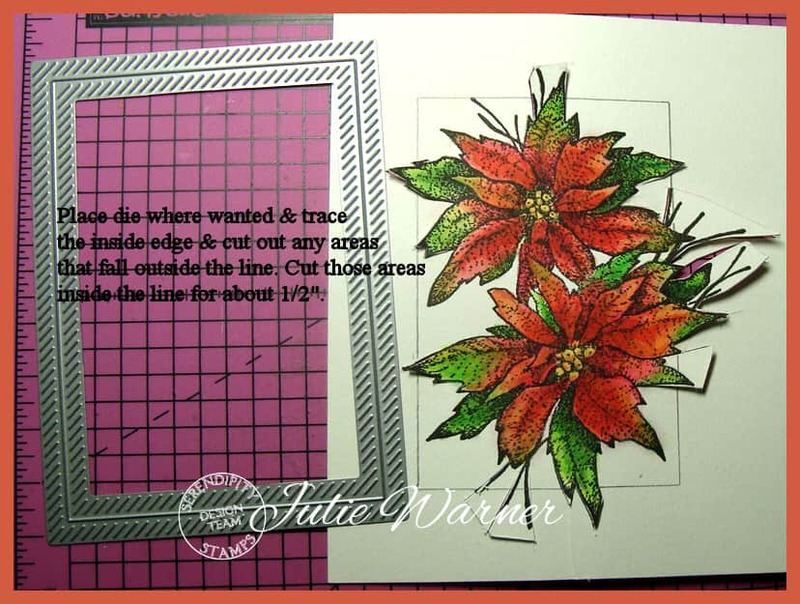 I kept the Christmas poinsettias & most of the layout, but I used different images, different colors & left off a few of the layers. 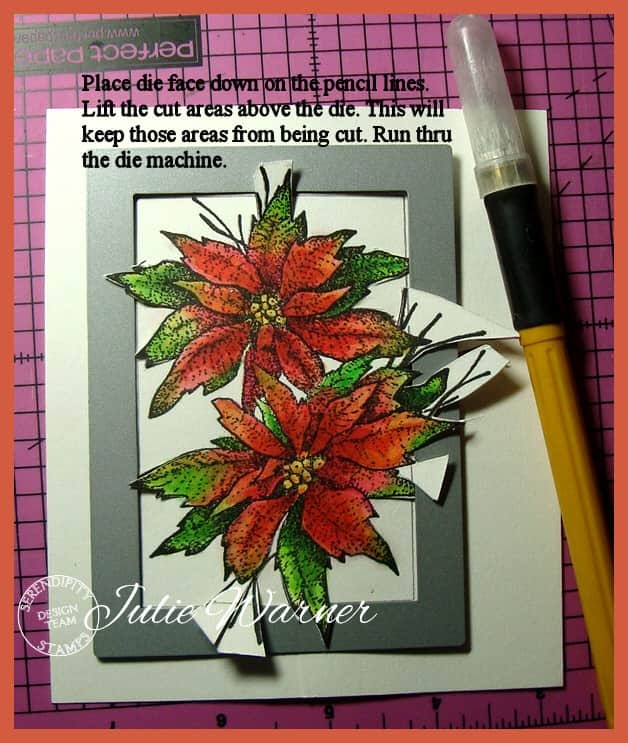 I also have a little mini tutorial to go along with this card. I knew immediately I wanted to water color it, but I wanted it to be loose, not necessarily contained by the lines. 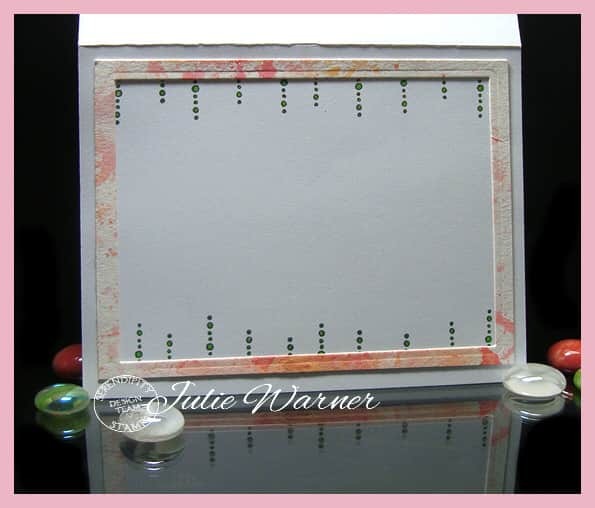 I love stamping on top of free flowing watercolor backgrounds so that was my plan for this. Instead of pan or tube watercolors, I used Brushos. 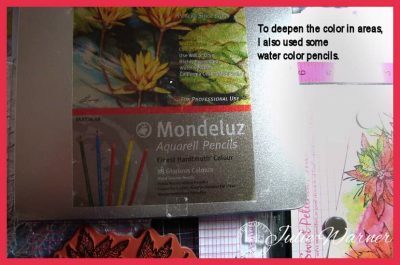 I lightly wet part of the watercolor paper w/ a spritzer, then sprinkled on the reds, pink & orange colors, then spritzed it again. 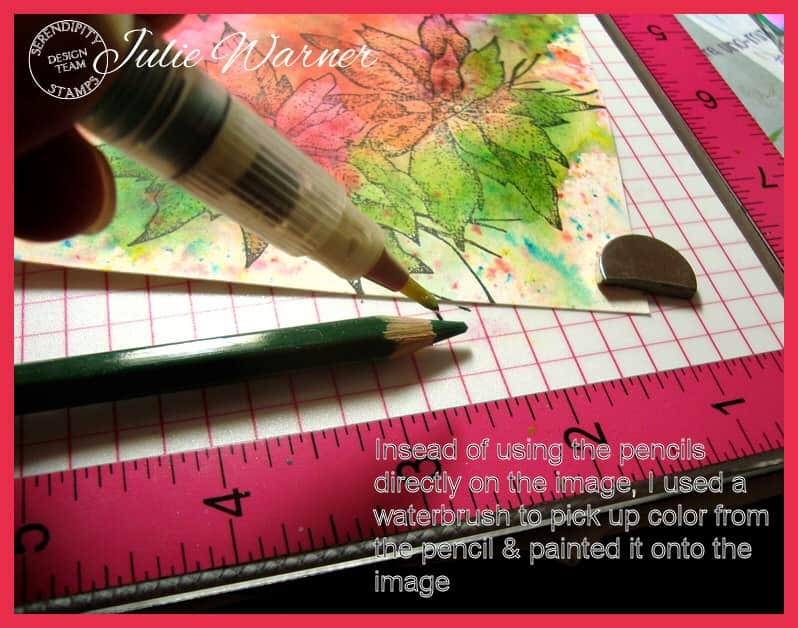 In areas where the color seemed too concentrated, I took a wet paintbrush & blended it out. I let this dry a little, then repeated it w/ the greens, trying not to go over the red areas. 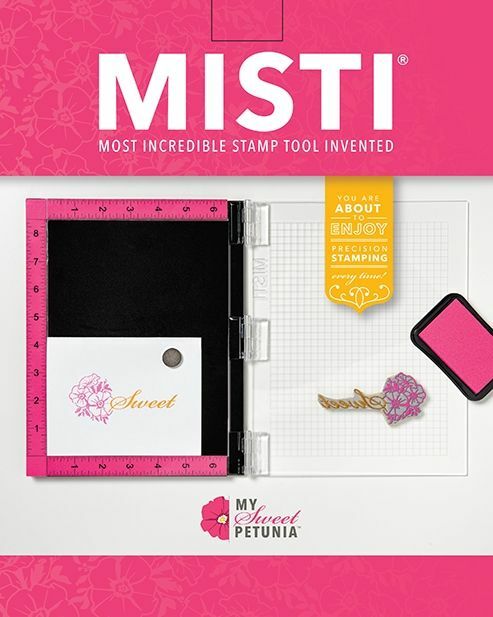 I used a plastic sheet placed up against the corner inside my Misti & stamped the image. 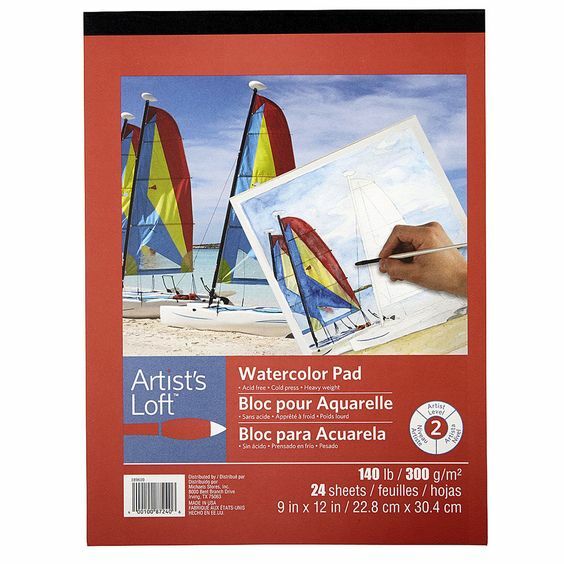 This allowed me to position the paper to stamp the image where I wanted. 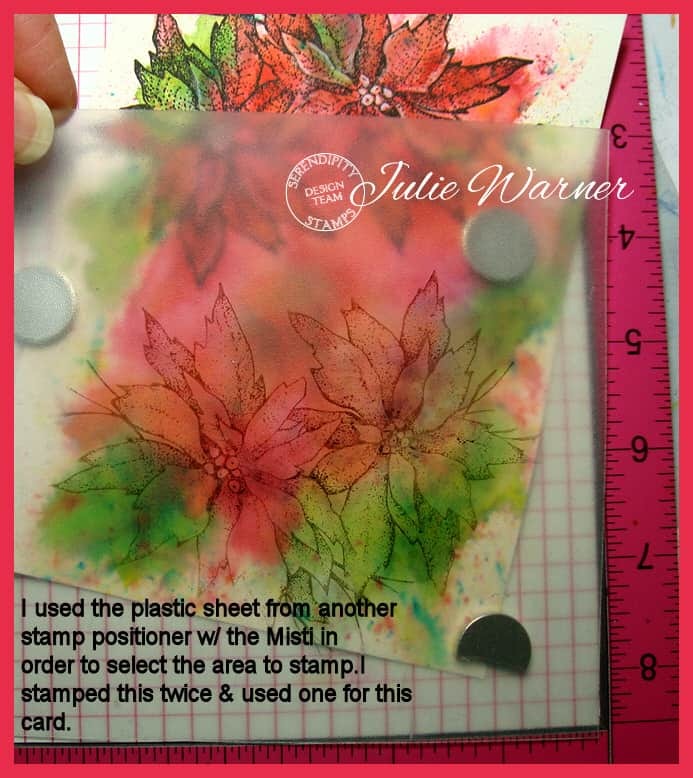 Since it was big enough, I stamped it twice to use on two different cards. I decided to deepen the color just a bit inside the leaves/petals of the poinsettia & the easiest way to do this is w/ watercolor pencils. Instead of using the pencil directly on the image, I used a waterbrush to pick up color from the pencil tip, then painted it onto the image. Since this poinsettia image in on the large size, I trimmed away most of the background around the left side of the image in order to have more of the citron green show. A dk green layer was added behind the poinsettia & also behind the citron layer. 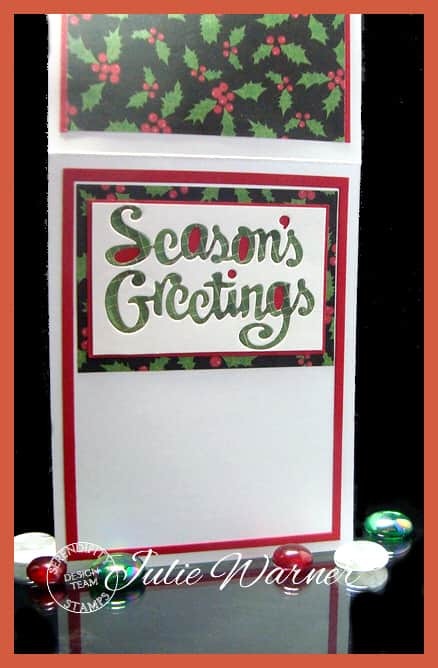 The greeting was stamped off the to left to help balance the composition and keep the eye flowing across the card. The blank citron areas give the eye a place to rest & draw the eye to the bright reds of the image. I could have added just a few sequins & I may go back & do that, but I’m pretty satisfied w/ composition as it is w/ the odd number of items (2 flowers + 1 greeting). Odd numbers are just more pleasing to the eye. 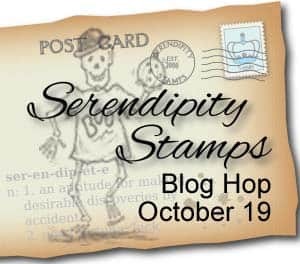 Welcome to the October Blog Hop for Serendipity Stamps! If you arrived here from Jeanne’s blog, you’re in the right place..if not, you may want to head over there first. The Prize – One $20 gift code will go to one random commenter from the blogs. So be sure to visit all the blogs because you don’t know which one the winner will be drawn from. You have through Sunday October 23 to leave comments on the blogs for a chance to win. Mary will announce a winner on October 24. The sale this week will be free shipping on US orders of $25 or more good Wed the 19th through Sunday the 23rd. There’s no coupon code required. Each month a different image is 50% off. This month- it’s the Pumpkin Border. On the third Wednesday of every month., we’ll be celebrating with a Blog Hop! For another chance to win, be sure to play along with our monthly challenge. You can get all the details on the challenge HERE. This is also for the Splitcoast Featured Stamper, Bev! 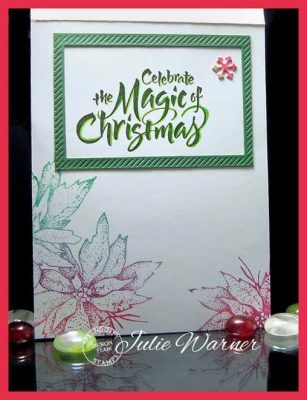 I chose THIS card to case, keeping the Christmas theme & layout, but I used different images, water colored my image & used a die cut greeting. 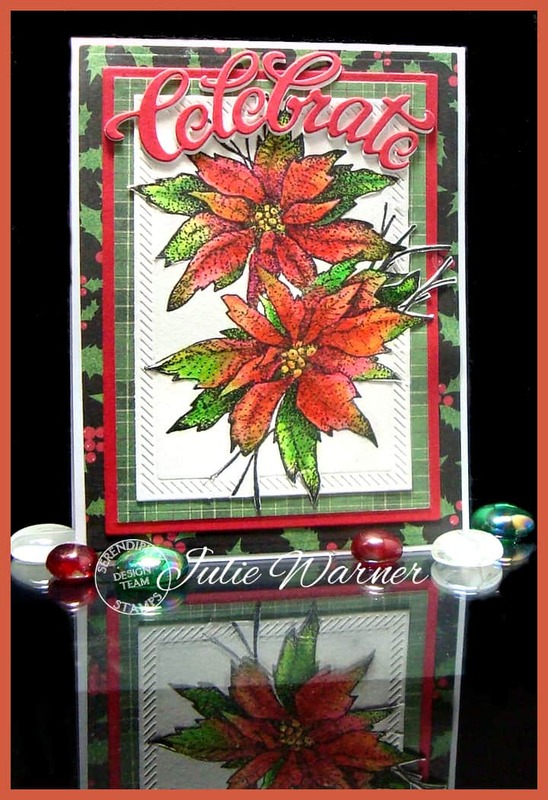 For my card, I used this beautiful Poinsettia. 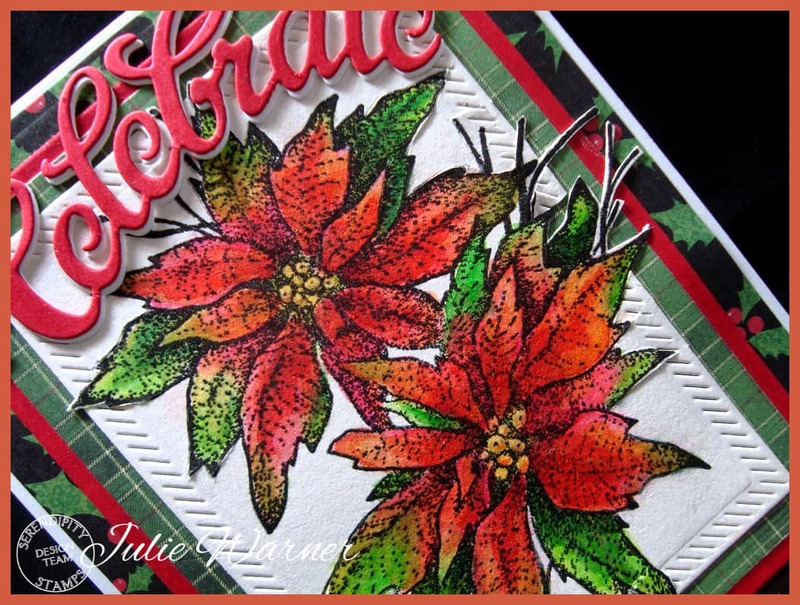 I just love poinsettias & I can’t wait for the stores to get them in for Christmas. This image just said “water color” to me but instead of using my usual pan w/c, I used Brushos water color crystals. 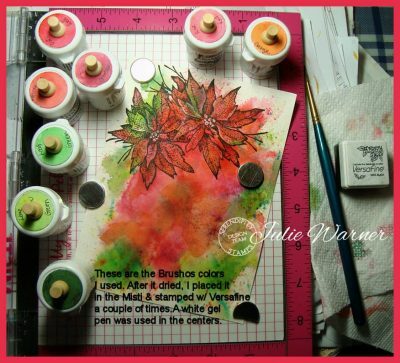 I sprinkled a few reds & greens on a blank palette then added water & painted w/ them as if they were pan w/c. Since this is a large image, I was pretty sure I was going to have to use my out of the box technique w/ the chosen die. I’ve shown this technique before, but a dear friend of mine, Kittie Caracciolo, who works w/ dies like you wouldn’t believe, mentioned that she just doesn’t “get” the out of the box. So here it is again 🙂 Once you understand the principal, it’s pretty easy. And it’s probably my most used & favorite technique. You can click the green link above for the original tutorial & you can also click any of these pictures to enlarge them. 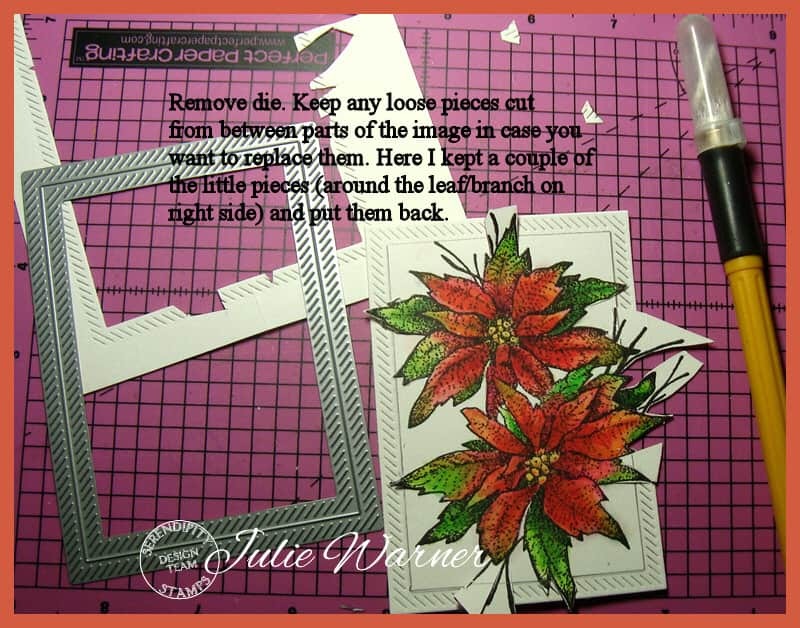 The reason I didn’t fully cut out the little branches before die cutting is because they are so fragile & it’s easy to break them off. After die cutting, I’ll fully trim them out. The most important thing to remember is that anything that falls out of the box, must be lifted above the die or else it will be cut off. Please be sure to comment on all the DT blogs. It will be much appreciated & will also increase your chances of winning! A big congrats to Simone, the newest Featured Stamper (FS478) on Splitcoast! She has a wonderful gallery with beautiful CAS designs! There are several I picked to case, but I kept coming back to THIS one. 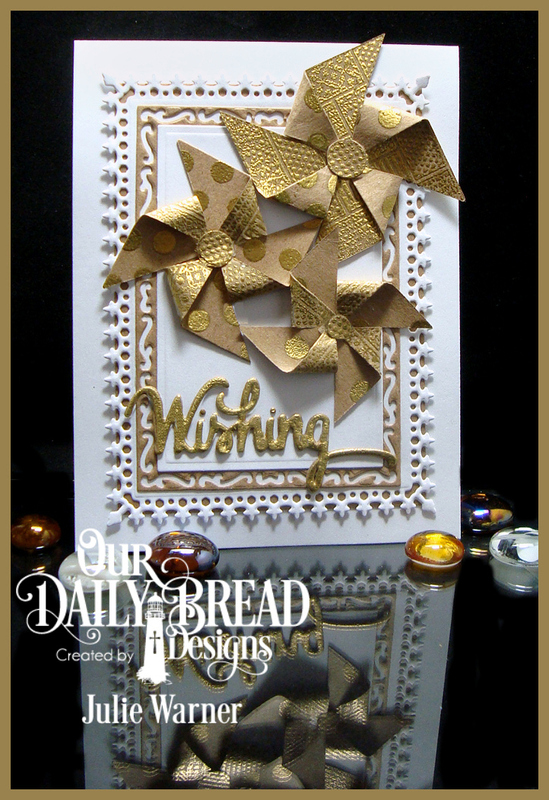 I just love the 3 little pinwheels so I kept that, but I used different images, added more layers & left off the gems. To make my 3 pinwheels, I die cut 3 sizes of squares out of kraft c/s then gold heat embossed the Log Cabin Quilt on one side of all three. 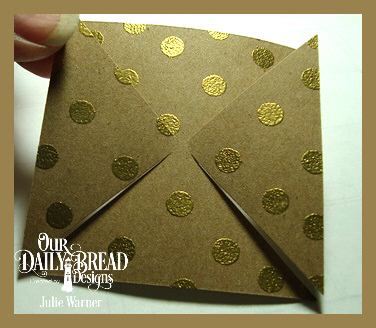 On the reverse sides, I used a pencil eraser to make the gold polka dots. 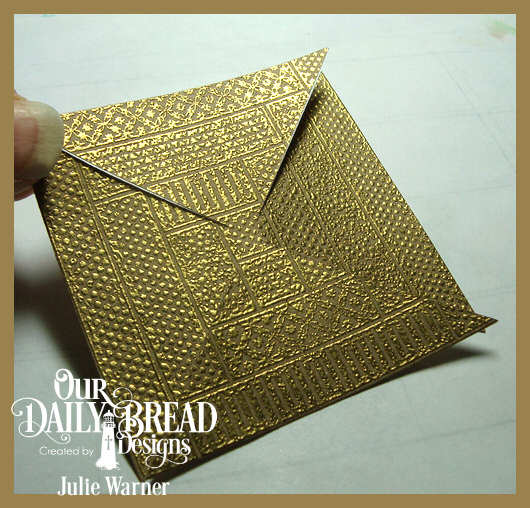 After you have the corners cut, just bring one point of each side in to the center & attach. It doesn’t matter which you start w/, just make sure to fold the same point on each side. 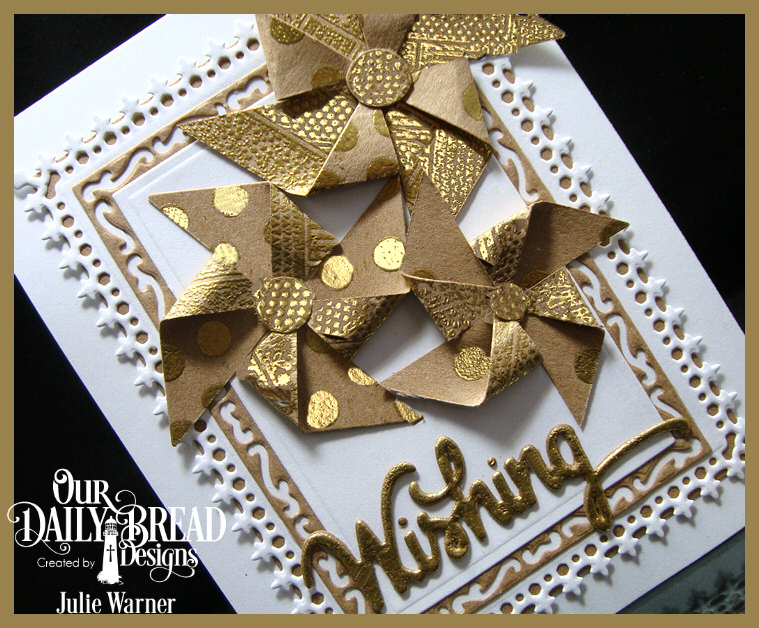 After I die cut all the layers & the greeting, I inked up the greeting & gold embossed it, too. 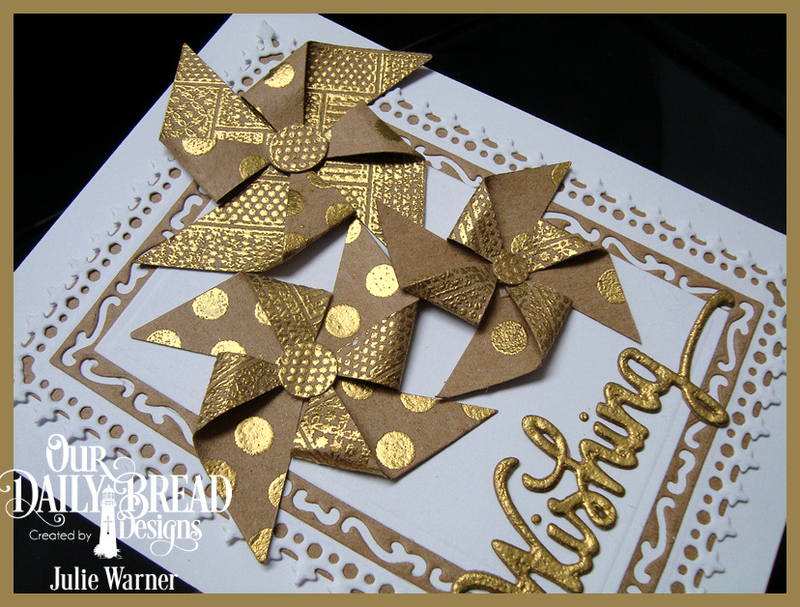 I also gold embossed the center of the Dresden Quilt image then used different sized circle punches & added these to the centers of my pinwheels. Here’s a look at the inside using some leftover strips & circles. Congrats again, Simone! Thanks so much for stopping by!